In those individuals who followed the injury prevention program there was a 40% reduction in hamstring injuries. In addition there was a significant reduction in playing time lost due to injury in both groups who participated in the program. For the Major League players there were 9 vs. 25.9 days lost, or a 65% reduction. 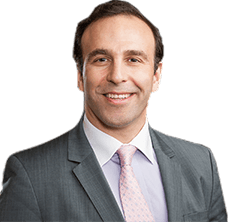 On September 27-28th, 2017, University of Ottawa Orthopaedic Surgery hosted Dr. Jazrawi as visiting professor of Sports Medicine, continuing the collegial relationship between the orthopedic surgery departments of the University of Ottawa and NYU School of Medicine. 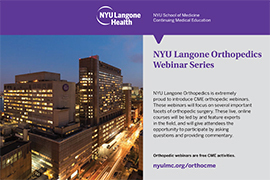 NYU Langone Orthopedics is extremely proud to introduce CME orthopedic webinars. These webinars will focus on several important facets of orthopedic surgery. These live, online courses will be led by and feature experts in the field, and will give attendees the opportunity to participate by asking questions and providing commentary.